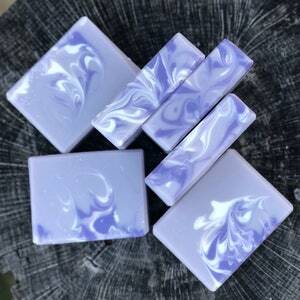 “Sparkling Snow” is a limited edition soap. 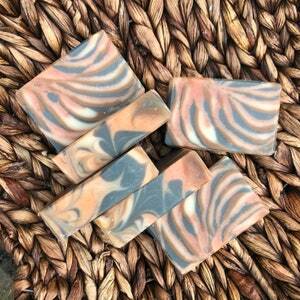 This fresh scent is a combination of Orange, Berries, Bergamot, Primrose, Violets, & Lilac. 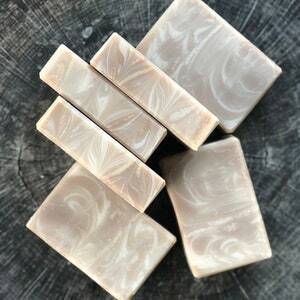 This soap is made with a generous portion of shea butter, coconut milk, and tussah silks fibers- all contribute to lots of moisture and lather for super soft skin. Ingredients: Olive Oil, Coconut Oil*, Sustainable Palm Oil*, Shea Butter, Water, Sodium Hydroxide, Castor Oil, Fragrance (phthalate-free), Coconut Milk Powder, Tussah Silk (sustainably harvested/cruelty free), Titanium Dioxide, Mica, Green Oxide. 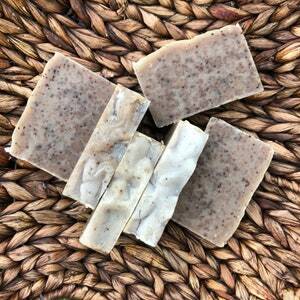 Care for your soap by placing it in a dish that drains; allow the soap to dry between uses. This will ensure a longer lasting bar of soap. 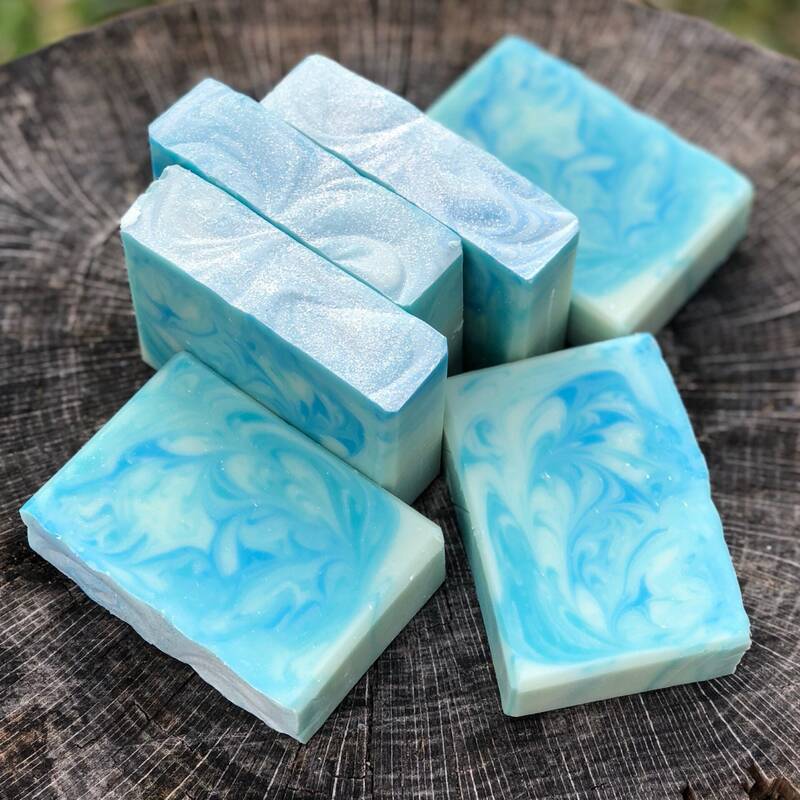 I love all the soap from this company! I have tried several different ones and I simply can’t choose which one is my favorite. This was was perfect for the holidays as gifts. Perfect gifts! I had to get some for myself as well. The more you use them the better they get. Very moisturizing!